Core i7 2677M (800Mhz / 1.8Ghz / 2.9Ghz) CPU with 4GB RAM, 256GB SSD. Full specifications, news links, images and videos for the Lenovo U300s available here. By turning of the Wi-Fi, Bluetooth, turning on battery-saving mode (which locks the CPU at 800Mhz as with all 1st-gen Ultrabooks) turning off speakers and letting the Lenovo U300s settle down and turn the back-light off we got a reading which represents background drain. It’s often an indicator of how efficiently the motherboard and peripherals are designed. 78 ‘tasks’ were running as this test was made. The results are surprisingly high here and the screen is taking a serious amount of juice at full power. Doing nothing on the Lenovo U300s could run the battery flat in under 7hrs. Given this high base level of power drain, there’s little scope for the Lenovo U300S to be the most efficient Ultrabook we’ve tested so far. These numbers are high and largely due to high background drain. Average drain was 9W which is better than expected (and good compared to mainstream laptops) but still below a lot of Ultrabooks. For example, we have measured the Toshiba Z830 at 7W average in this scenario. To emulate a more typical working environment we ran Windows Live Writer, set Media Player going, changed to ‘balanced’ performance profile and started writing an article and editing some images with Windows Live Gallery. Chrome was also running with 3 ‘apps’ in tabs. Gmail, Tweetdeck and Google Plus. After we turned the music off and we could just about hear the fan. It’s not loud and the system didn’t get warm at all across the keyboard. There’s a warmth on the bottom but nothing that would be uncomfortable on a lap. A key feature of the Ultrabook is that the Intel Quick Sync subsystem is extremely efficient at converting videos. Assuming you use the correct software (it must support the Intel Media SDK), most of the hard work is done in fast, dedicated silicon which keeps CPU usage down. We used Cyberlink MediaEspresso for this test. A 55 second 1080p file of about 30Mbps and a 720p WMV file were down-converted it to a 720p, 3Mbps video – the sort of thing you might do in order to transfer videos to portable players or upload to YouTube. The result was impressive. In performance mode the process of converting 1m30s of video took just 23 seconds and used a peak of 26W, an average of 21W. While the peak and average power usage might seem high, the duration of the effort was low. The higher clocked Core i7 CPU here potentially showing that it saves power over lower-clocked Core i5 or i7 components. Pushing it too the limits. With WiFi on, Bluetooth on, a USB stick inserted, screen at high brightness, high performance mode, battery eater pro and Cinebench running while listening to some music, the average drain was 33.2W with Turbo stable at 2.3Ghz. Fan noise was clear but only air noise. No mechanical noise can be heard. This is slightly better than average in terms of noise. Some warmth was building up near the exhaust port on the left hand side but acceptable and nowhere near as hot as the Dell XPS 13. This is a very important feature to mention and in many ways lifts the U300s up above other Ultrabooks in terms of battery life and mobility. The Lenovo U300S can charge to 50% capacity in 30 minutes. (We assume when the device is not being used.) Being able to top-up this quickly is a feature you’ll never want to give up once you’ve used it. We hope that manufacturers can improve this fast-charge feature and implement it more widely. In an 11.5 hours sleep test I saw the battery drain 9%. The text was actually only a 10hr sleep test with hibernation mode kicking in for the last 1.5hrs. 4 days sleep is a useful feature. We track and list reviews from around the web in our product database. The Lenovo U300s page is here. Our hands-on overview is here. We also have a 4-way comparison including the Lenovo U300S here. Don’t forget to share this page to help us get detailed testing information out into social channel. Links at top and bottom of this post. Background system drain on the Lenovo U300s seems to be higher than most Ultrabooks but high-end usage reduces the effect of this. 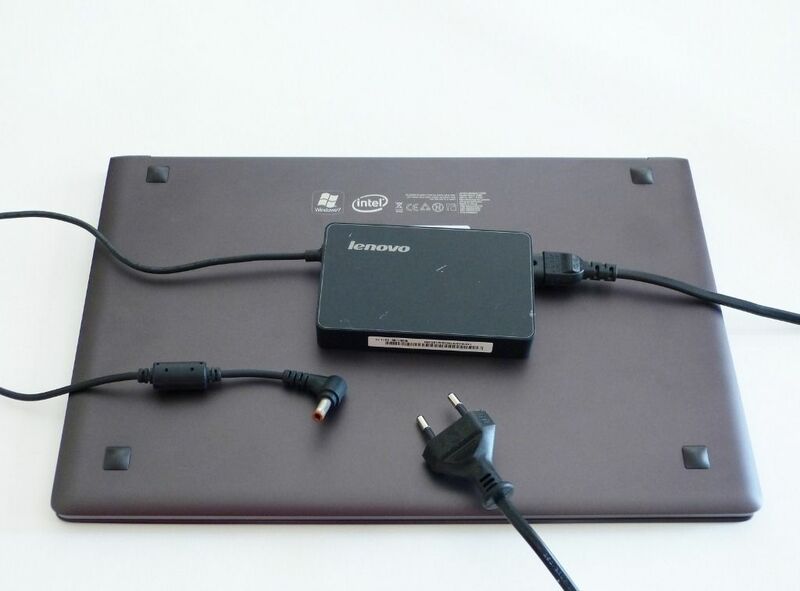 In addition, the Lenovo U300S has a good 54Wh battery which balances out some of the inefficiencies. In a fairly low-end office scenario with a clean system we saw what would equate to 5hrs worth of working time but we want to note that the screen brightness does need to be pushed up higher than many Ultrabooks and this affects battery life. The U300S is relatively quiet and keeps cool under load. Thermal design seems very good, especially after seeing sustained Turbo Boost rates of 2.3Ghz under load. Overall, unless you’re an ‘efficiency’ fan you’re going to be happy with the U300S as it returns real-world battery life figures close to the average in the Ultrabook class. These tests were done with a relatively fresh system build (as provided by Lenovo) and by a knowledgeable tester. Remember that a loaded system with many background process can easily push up the power drain. In addition to the effects of background applications, careful attention should always be given to screen backlight, WiFi hotspot and of course, connected peripherals. Connecting USB peripherals can be a big power drain. High environmental temperature can also increase battery drain rates. Do you have a Lenovo U300s? How is the battery life for you? How would one get the 2.9GHz turbo? Does anyone know what the max turbo is for 1 and 2 cores active assuming the notebook allows for the max to be reached. In reality the 1 core Turbo will go from 2.8-2.9GHz as things aren’t always perfect and second core has a minute load. For 2 cores the 2.6GHz number can’t be sustained for long duration which puts practical long duration maximum at 2.4-2.5GHz. If there are thermal limits then it can go lower than that, although no lower than 2.2GHz. So anyone know of any ultrabooks that get closer to the 2 core Turbo limit? Initially, they all run at max turbo but once the silicon heats.up and the load ramps up, turbo is cut down. I’ve got a favor to ask Chippy. 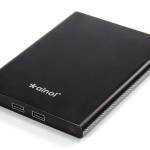 Could you please see what the brand of the SSD drive this Ultrabook uses? I’ve seen that different SSD controllers can affect power usage by 0.5-1W depending on load. @pogoboy123 I once spilled about 20 onecus of orange juice on the corner of my lenovo laptop directly over the fan/cpu/heatsink power adapter receptacle during a conference. the laptop went blank. pretty much the worst place to spill something and the worst thing to spill as far as drinks are concerned. i took it to the bathroom, shook it to try to get all the liquid out. turned it on an hour later, and it has been running like a dream ever since. this was around 3 years ago. This is the stuff that keeps me coming back. I LOVE the exclusive mobility enthusiast-focused content. Power consumption numbers in detail like this that help to drive power efficiency numbers up and that do more than just focus on theoretical capacity. I REALLY like seeing the slowly emerging power consumption testing platform that you’re building and the comparison to other ultrabooks. I REALLY hope Toshiba announces their next gen Ivybridge ultrabook and that its got a better design (appearance), build quality, and fan design. They’re doing the hard stuff so well; amazing specs and over-all perf numbers (where it counts; not just for the sake of numbers), incredible value, loads of ports, a REAL SSD; now they just need to focus on fit and finish and they could make something epic! The weight, thickness, price, and ports of the Toshiba have been so hard for the other manufacturers to best; they really did a good job except on aesthetics, build quality, and that bottom fan design. Thanks for bringing up the sound levels! It’s usually somewhat connected to power and temperature, but it’s not mentioned often enough. Article Request: When the embargo comes off of the Ivybridge mobile parts, please do a power efficiency article on Ivybridge with a particular deep-dive look at the configurable TDP feature. I’m REALLY interested to see the UX32a compared to the UX30 as they have very similar screens and resolutions; the comparisons to the UX31a involves too much difference in components with the unknown of that gorgeous 1080p screen. -If we use the configurable TDP feature of the new Ivybridge mobile CPUs to set to TDP to 13 watts, how significant of a battery life improvement will we see? It’s a good question. I’m wondering why a user should even need to down-configure it because in general, leaving the CPU to do it’s thing (from 800Mhz to 2.9Ghz for example) is often the best way. Configurable TDP is likely only to reduce the Turbo profile. It will stay cooler/quieter. configurable TDP is really for designers, not users. IMO! I think Configurable TDP could be useful for those looking to switch between ULV and non-ULV usage. Like with a docking type usage scenario. Especially if the dock provides extra cooling. While mobile users could switch usage that’s between what is now separate 17W and 35W product solutions. Right now that means users of a 17W solution can only get operational support for that range. However, if the OEM offers an optional dock or high-performance cooling mode that could cool a higher wattage chip, the present 17W CPUs can’t take advantage of it and offer the higher performance. Mind they’re also improving other aspects of the system for better efficiency. So it may be a accumulative effect and could prove noticeably better for balancing between mobile and non-mobile usages. Well, I for one could definitely consider down clocking the system or using the lower TDP as my standard setting. In a way I do it now – my ASUS UL30VT is always running in “quiet office mode” at 1.2Ghz, which works out just fine almost all the time. In the rare occasion I want to do something taxing I bring it up to 1.9. Most of the time I want the computer to be as silent as possible (and at the library I’d want it to be quiet and have long battery time). Battery life improvement would be minimal. The reason 17W CPUs get better battery than 35W is because it uses less power in every power saving modes, all the way from lowest C7 to highest Turbo. Back in the days where power management weren’t that good TDP mattered quite a bit but that’s long gone. Also in response to James, the Core i5/i7 17W parts have a 25W TDP to scale performance up further. It was rumored to be 35W but its actually 14/17/25. For regular use but Intel originally suggested a max of 33W (not 35W). So may also cover Turbo Boost which can go past normal TDP rating and may be why they set the normal max to 25W to keep that overhead available. Mind going from a low TDP to high also means the processor starts out cooler for the Turbo Boost and that can let it maintain the Turbo Boost for just that tiny bit longer. Also, again, it’s not the only factor they’re introducing and the effects could be accumulative. So don’t think of it as just the one factor but how it can work with the other changes as well. For example, another wild factor is the OS, never before Windows 8 has there been a desktop OS optimized for power efficiency and that can take advantage of the new power saving features Intel is starting to introduce. Scaling of performance would be a consequence for much of this but when someone needs maximum run time they don’t generally need maximum performance but they’ll still want it when run time isn’t a issue. While also you missed the point that options like docking station can provide better cooling that can let the system operate at higher power for longer and that’s not something previous none configurable TDP systems allowed.